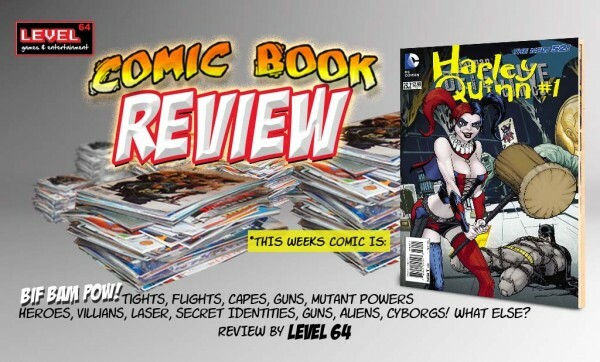 Here is a bite sized comic book review done by the guys over at LEVEL64 Entertainment. 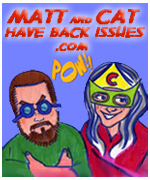 Every week they check out a few new hand picked titles from all over the Marvel and DC universes, and tell us what they think. We would like to hear what you think. Drop us a comment or leave a voice message and we will read it on our next podcast! We catch up with her sitting on a ledge overlooking the city, recounting her life before and after she met “good ol’ Mista J”, from the terrible treatment at the hand of her parents to her employment at Arkham Asylum. 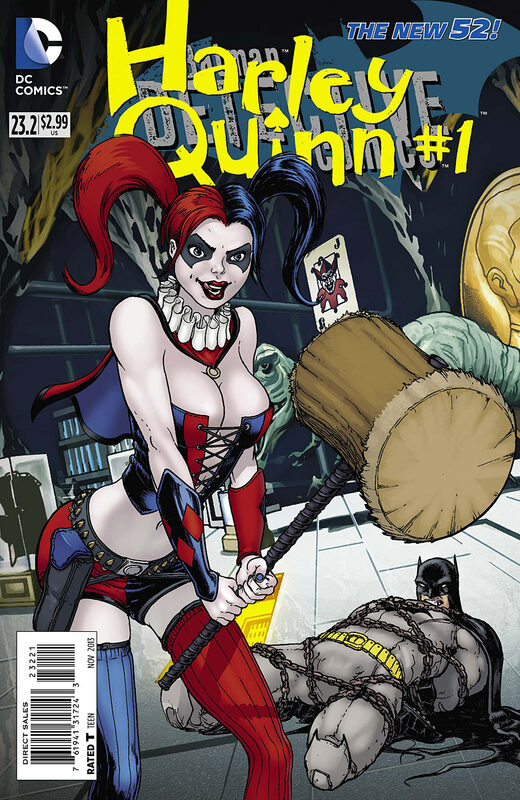 This comic is what a Batman or Harley fan would really enjoy. There is a lot of reminiscing going on here but it is told so well that you see it all blend into one great story. I found myself intrigued when Harley gives out video games to kids and then blows them up to get Joker’s attention. SPOILER ALERT: Harley fails at “blowing up” the children! This issue is a great one and if you can find it on comic shelves, PICK IT UP! 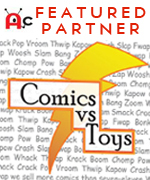 LEVEL64 entertainment is a partner of Alien Cyborgs. 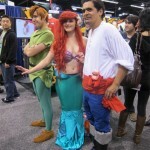 Level64 entertainment is a media, video game, comic review, and news team located in the Diamond Bar, California area. Level up and visit their Facebook page here!